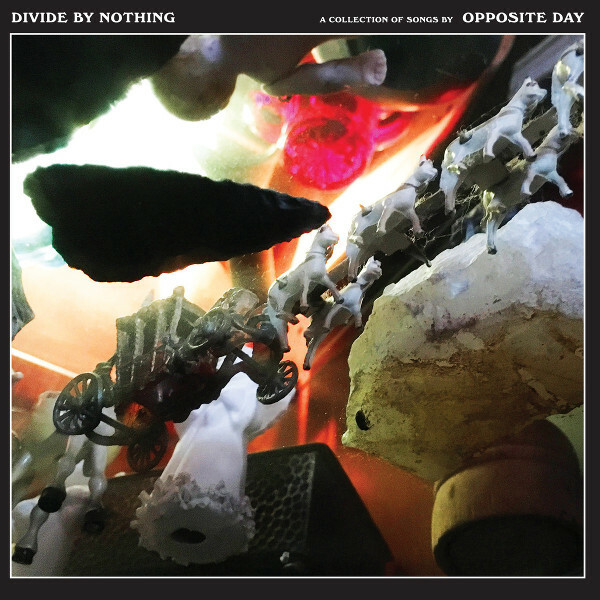 Austin’s math-rock band Opposite Day released their latest album Divide by Nothing on September 20, 2018. Guitarist Sam Arnold, bassist Greg Yancey, and drummer Eoghan McCloskey present five new melodic complex sci-fi inspired songs. The first track is their musical interpretation of John Wyndham’s 50s post apocalyptic novel The Day of the Triffids, when a massive meteor shower destroyed humanity and mutated giant plants started roaming the Earth. Sam’s savage guitar, Greg’s stuttering bass, and Eoghan’s agressive drumming convey the horror of the novel. “Zeros in Your Eyes” is an energetic post punk tale, followed by “The Only Way to Travel” with its rapid guitar riffs and its space / time travel dichotomy. And there is some sense of Bill Nelson and Be Bop Deluxe peeking through the intricate instrument patterns. On “Penetrating Atmosphere” Greg shines on bass, channeling Les Claypool with his inspired bass lines. The disc closes with “Hemonaut,” a song about an intrepid “sailor on the seas of blood” spreading his protein portfolio and disease throughout the body. I could be wrong, but “Hemonaut” may be the first time this kind of subject has appeared in progressive music. If you have not already experienced Austin’s progressive rock community, now is your chance as these bands continue to surprise and innovate.